The Mizuno S5 wedges are designed to deliver elite feel and shot control with a new Silhouette profile that is a softer version of the classic Teardrop shape. The new profile is designed so that when a player opens or closes the face, the profile always appears aligned to the target. 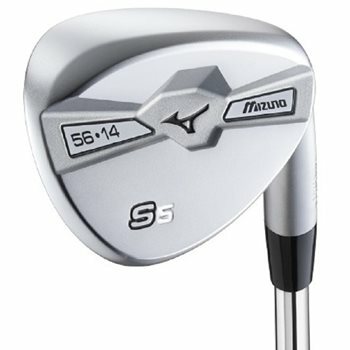 The S5 wedge is available in 25 versatile loft and bounce options inspired by Luke Donald, so that all distance gaps and shot types are covered. They feature Quad Cut grooves and a milled face to increase surface roughness for ball stopping spin and shot control.